No matter the occasion. Whether you join us with a group of friends at our big city bar, reconnect with family over a casual dinner, or maybe you just need to get away from it all with that special someone. We would like to be that refreshing place where you can relax and embrace happiness. 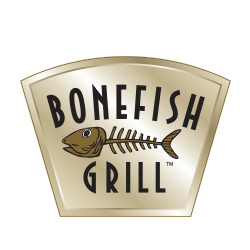 At Bonefish Grill, we offer guests unique fresh fish from all over the globe, hand-cut daily and wood-grilled to perfection. Every night brings a variety of innovative dishes, including our Angler's Steak and Lily's Chicken. And our bar-fresh cocktails are always a perfect complement to our signature Bang Bang Shrimp® appetizer. Swap out boredom and routine for an inspired dinner.